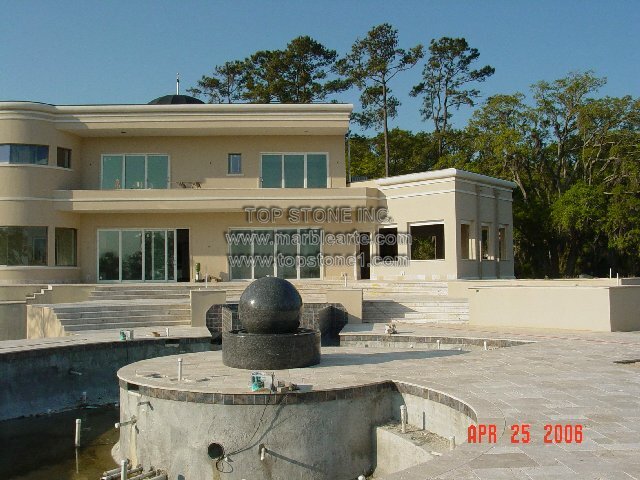 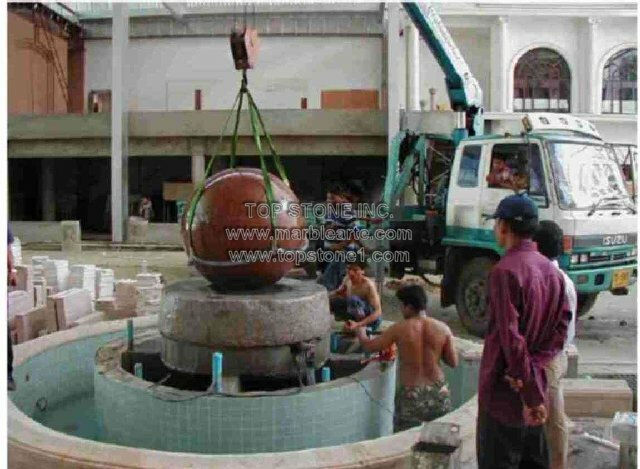 HOLDING TANKS AND VAULT DESIGN AVAILABLE UPON REQUEST FOR LARGE SPHERE DESIGN ORDERS WITH REMOTE PUMP & FILTERS. 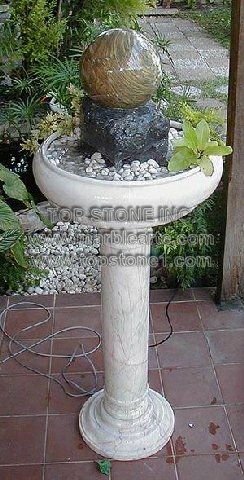 SMALLER SIZES - PUMP INSIDE BASE. 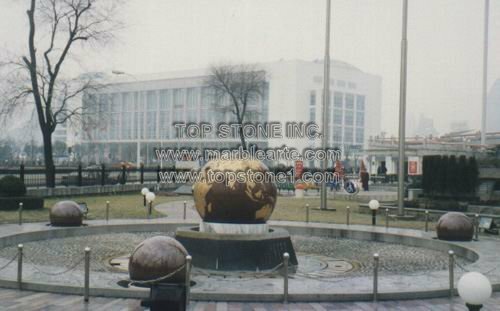 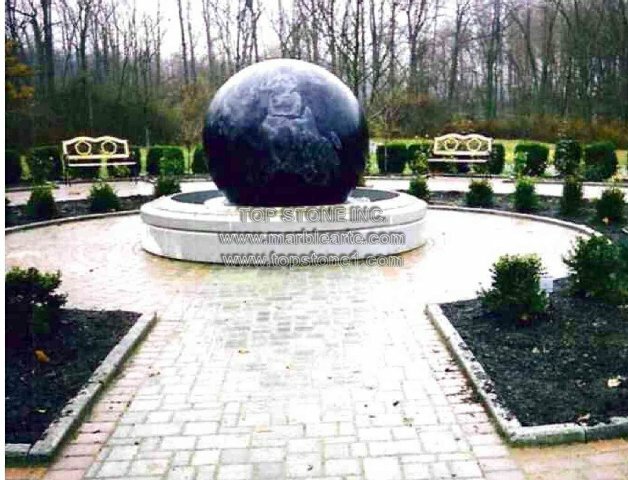 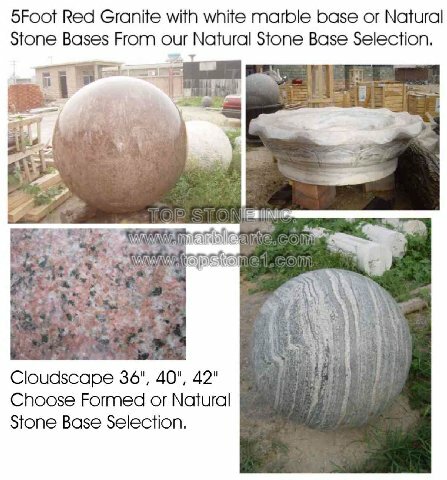 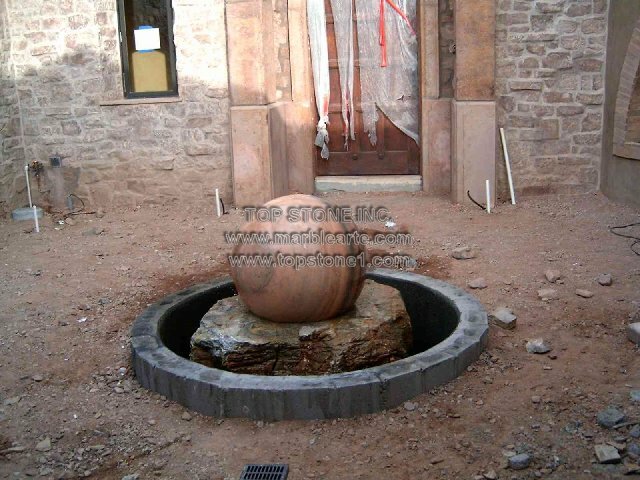 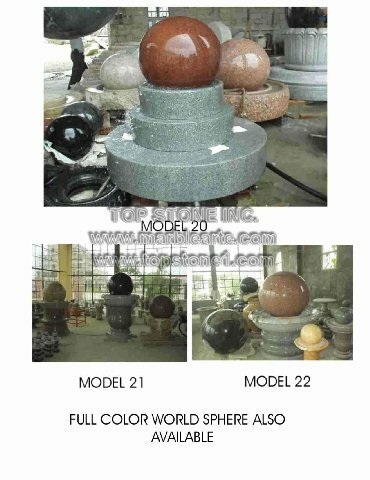 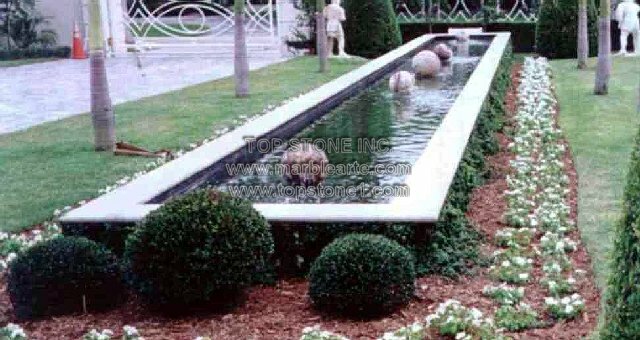 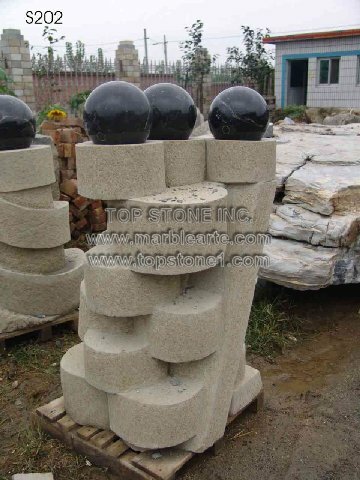 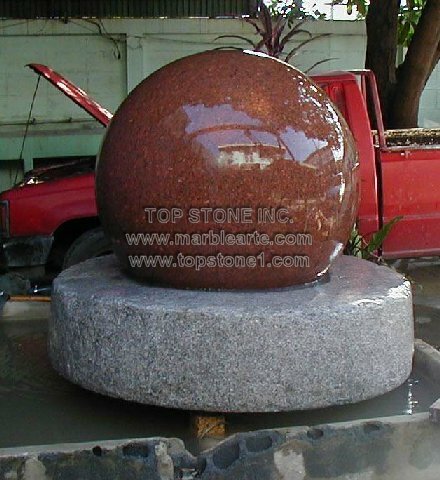 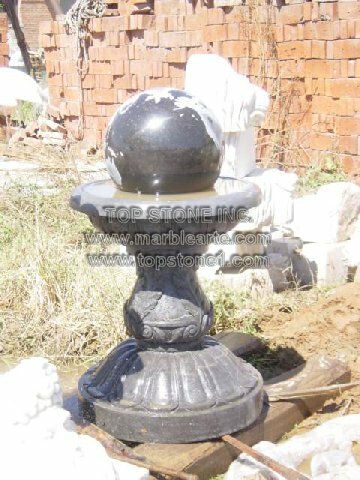 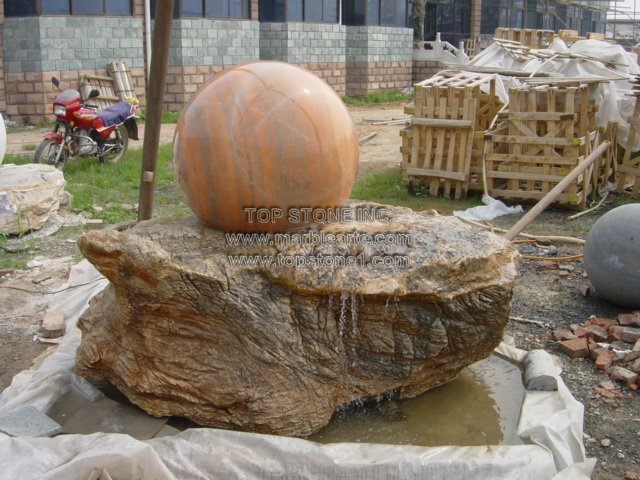 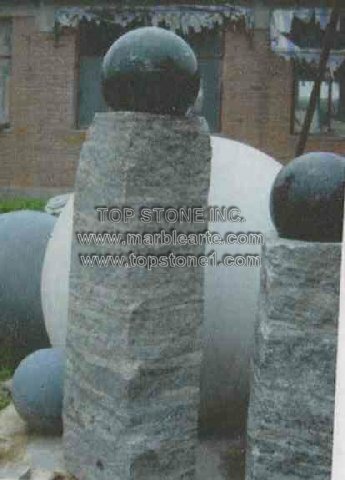 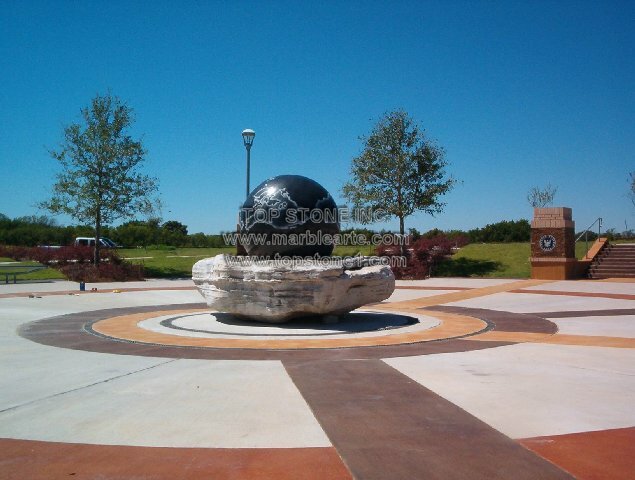 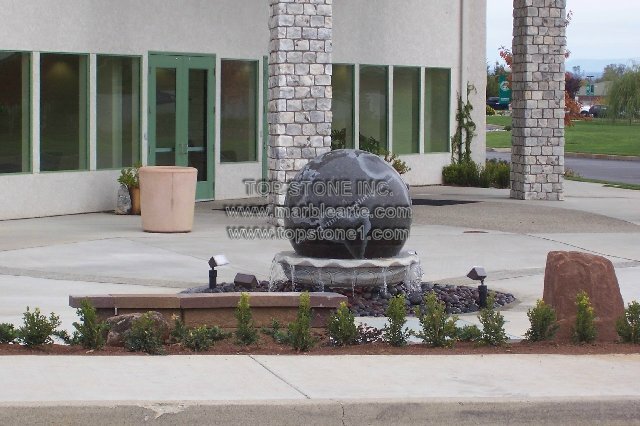 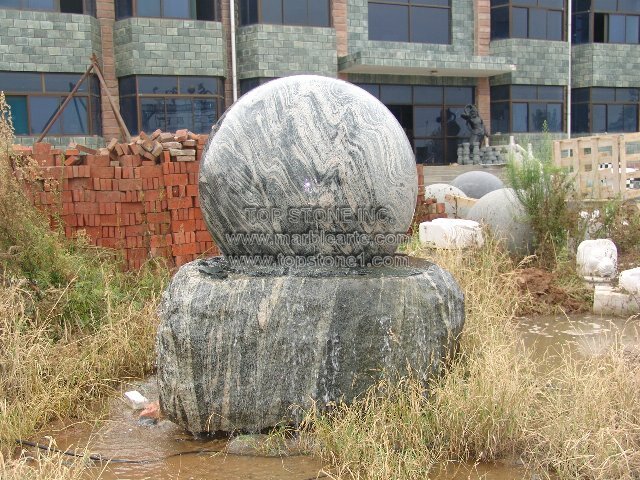 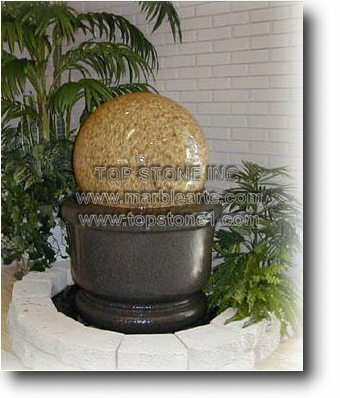 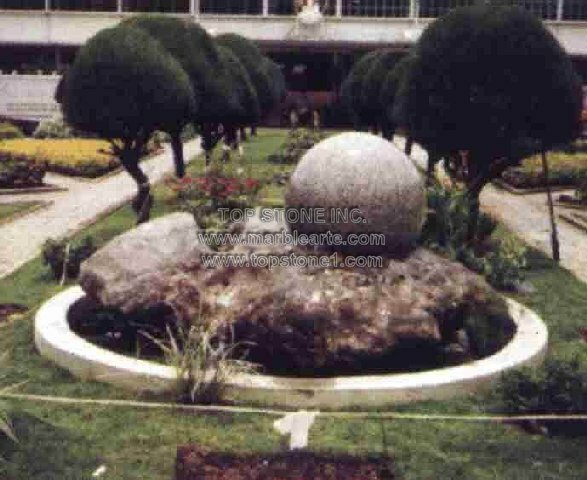 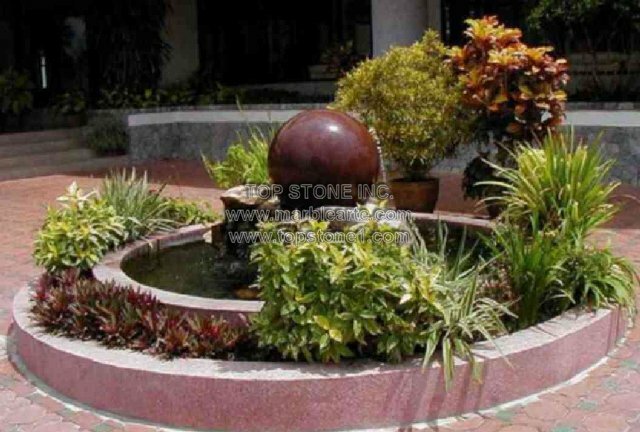 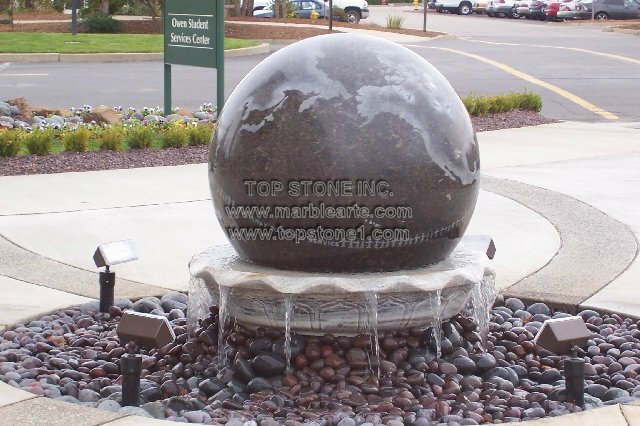 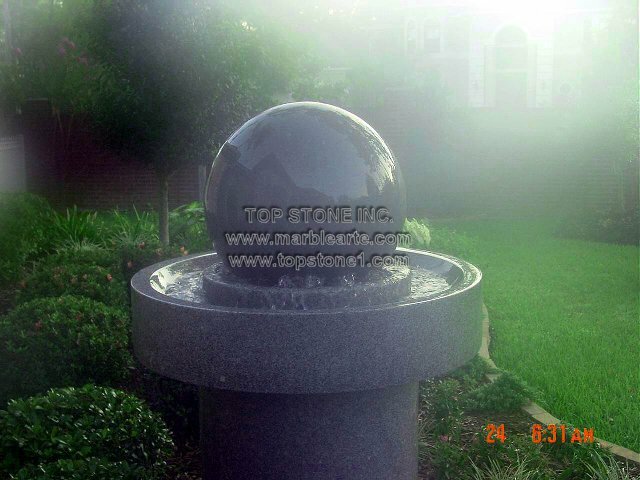 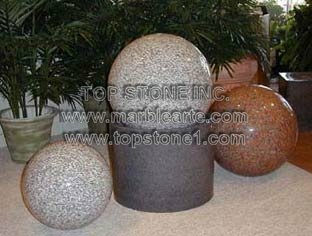 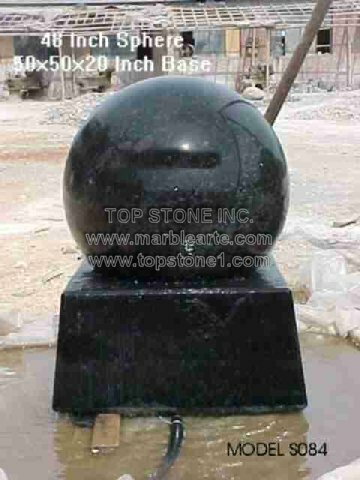 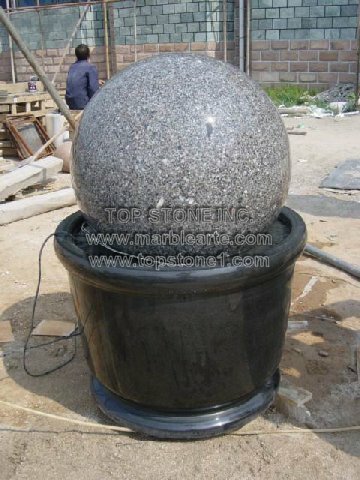 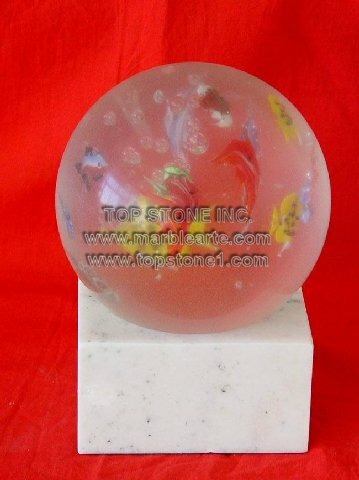 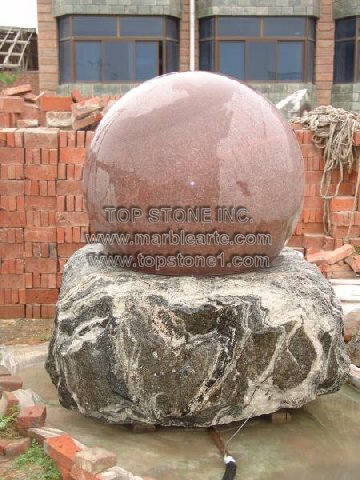 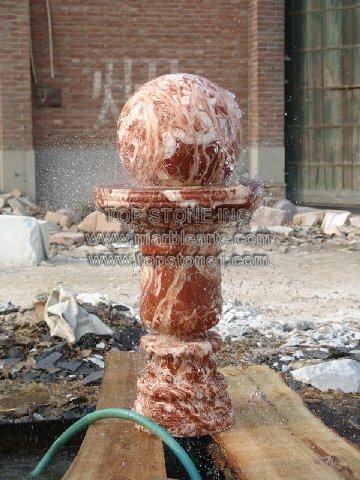 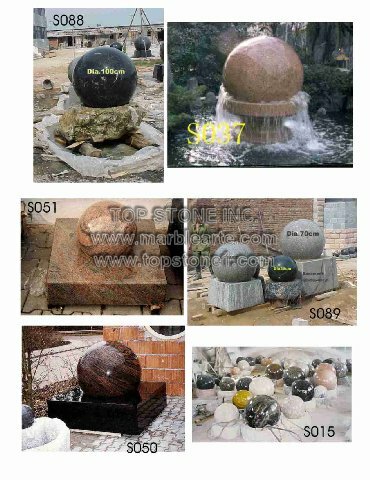 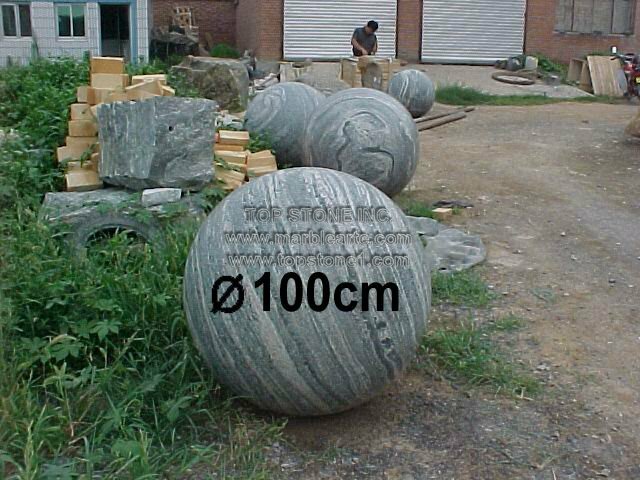 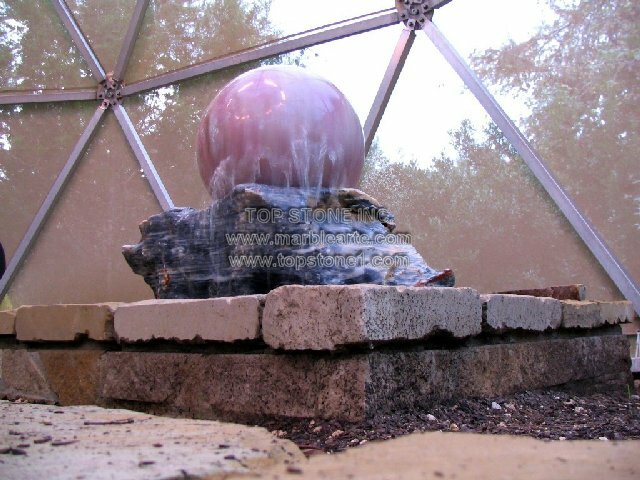 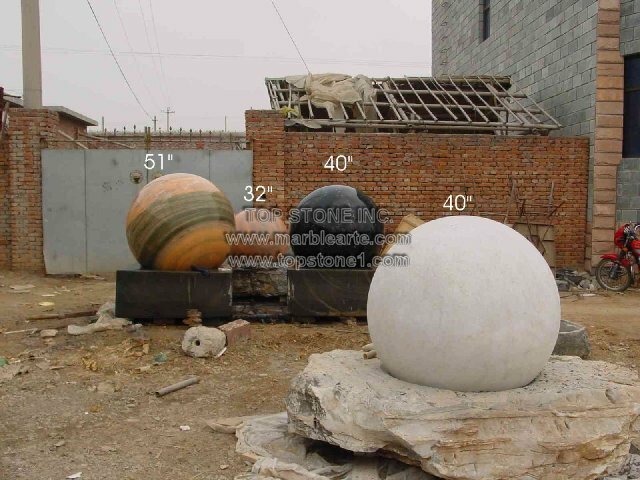 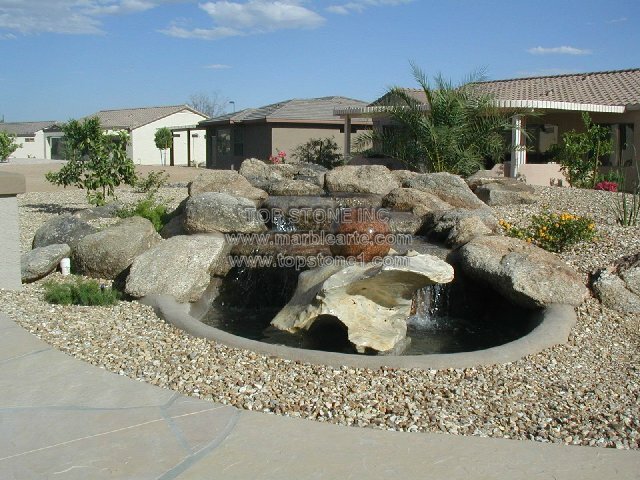 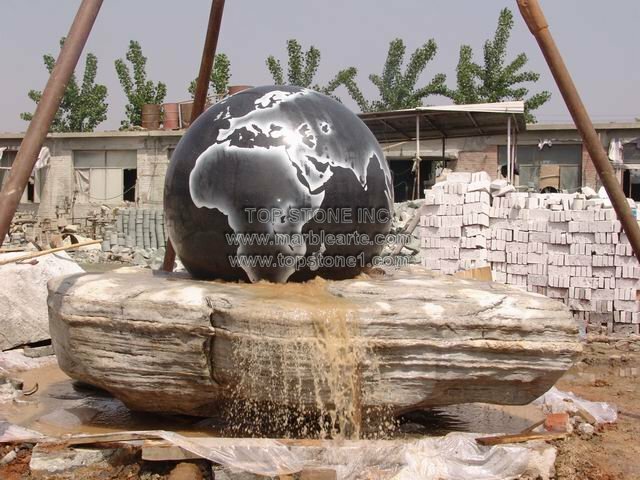 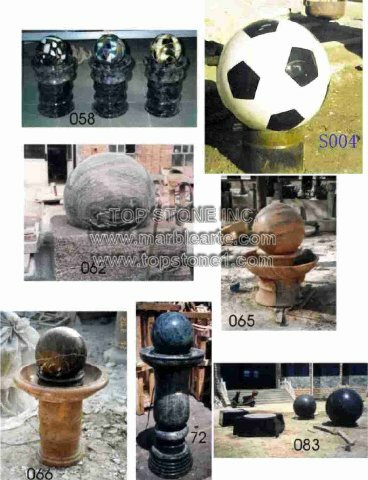 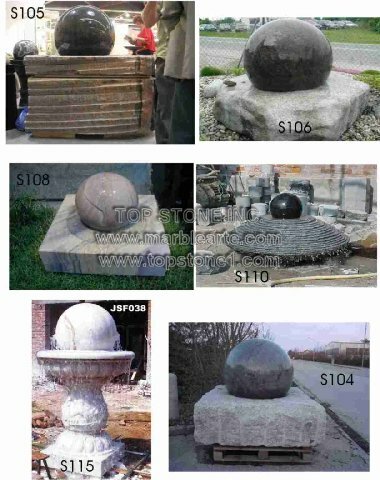 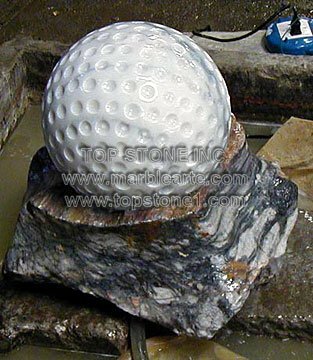 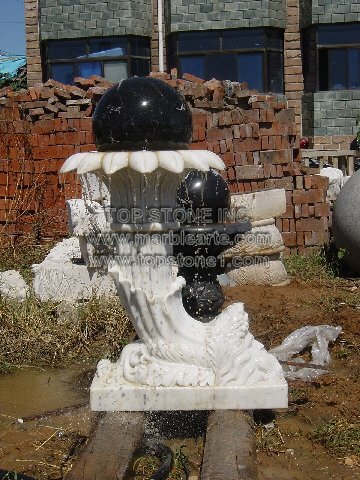 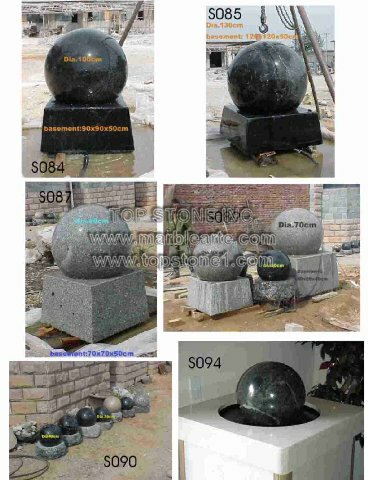 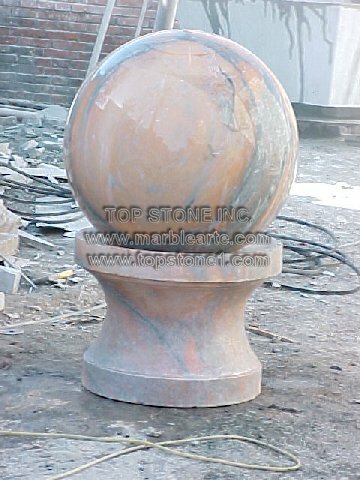 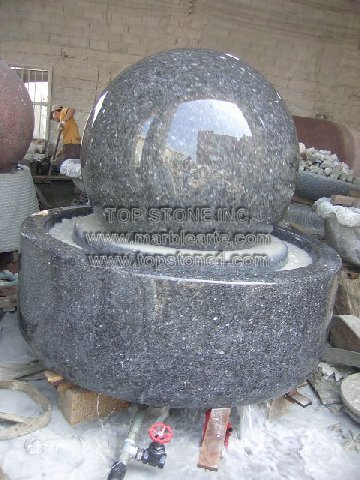 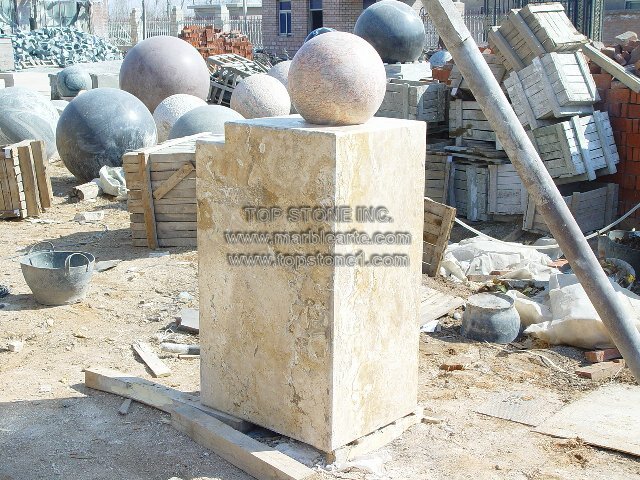 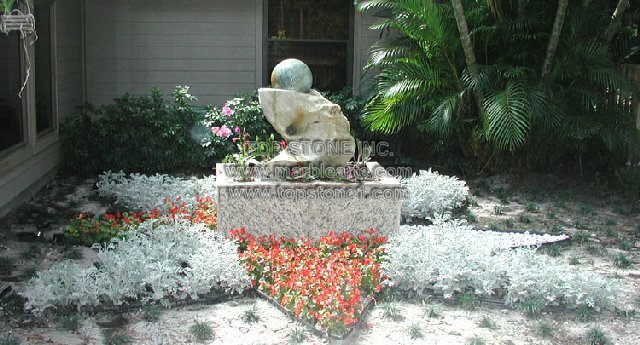 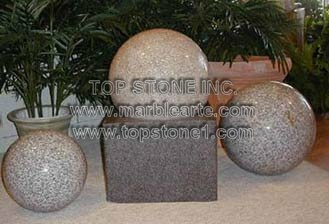 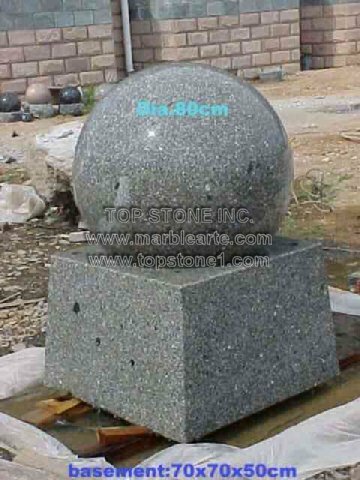 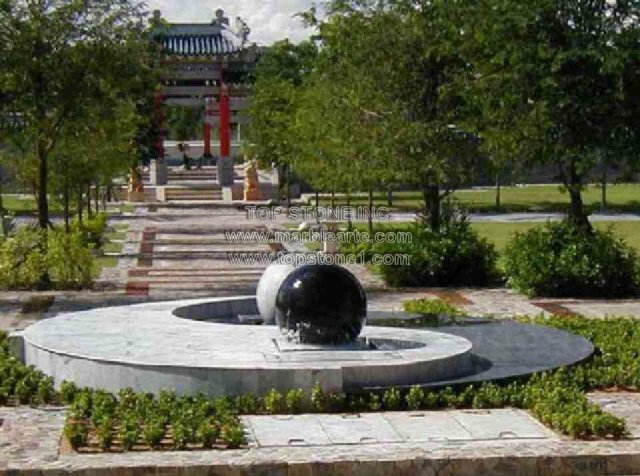 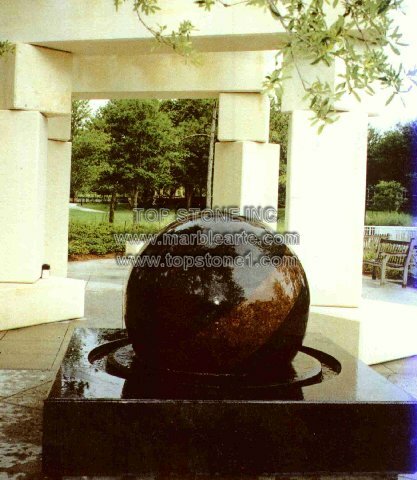 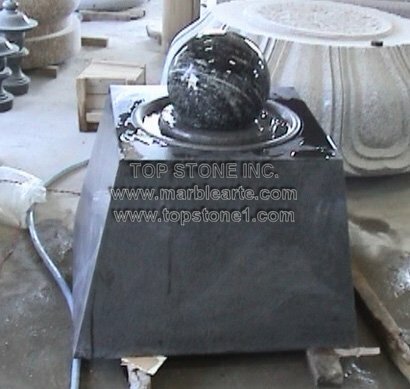 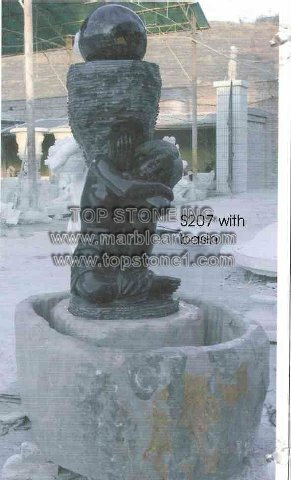 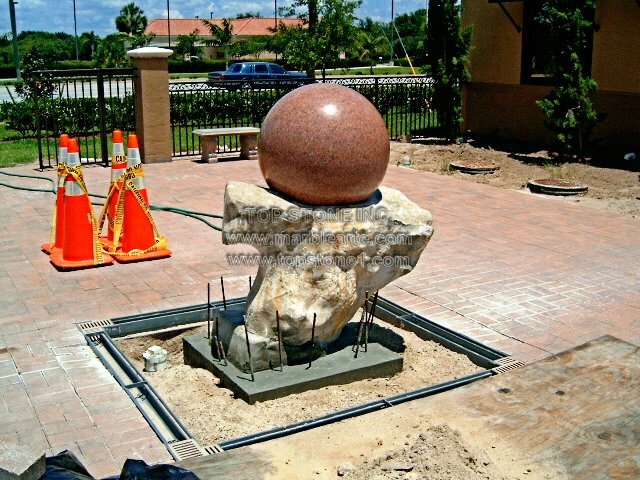 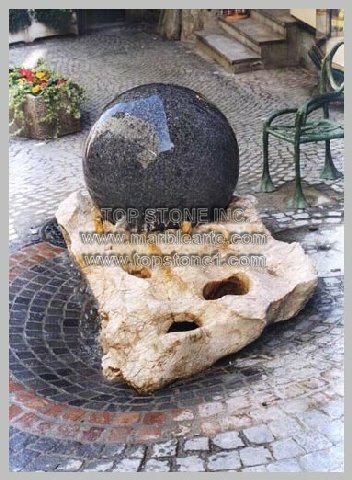 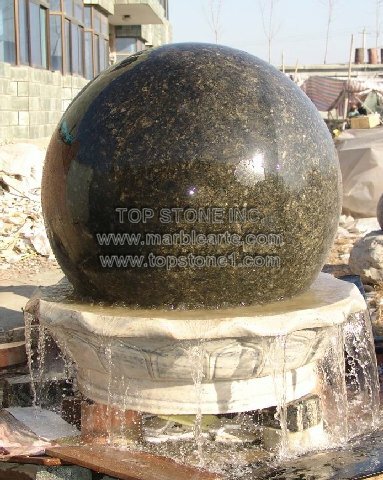 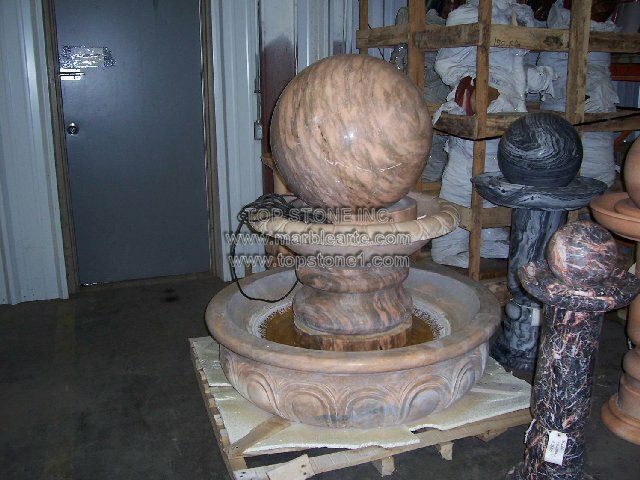 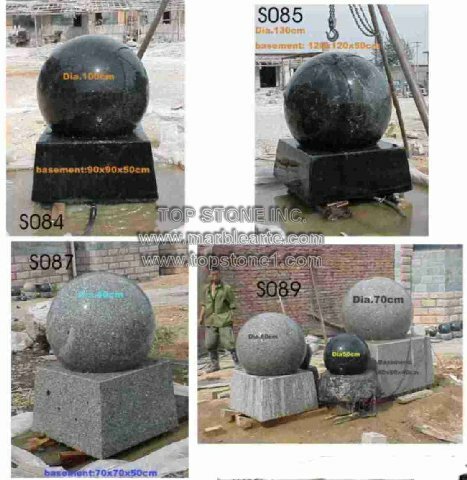 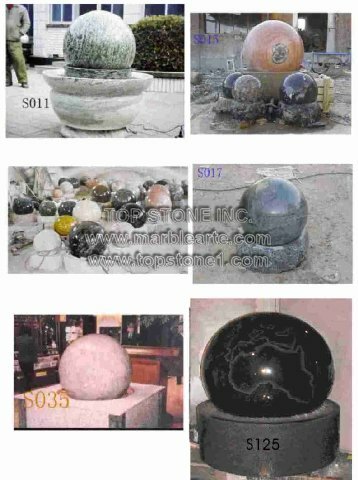 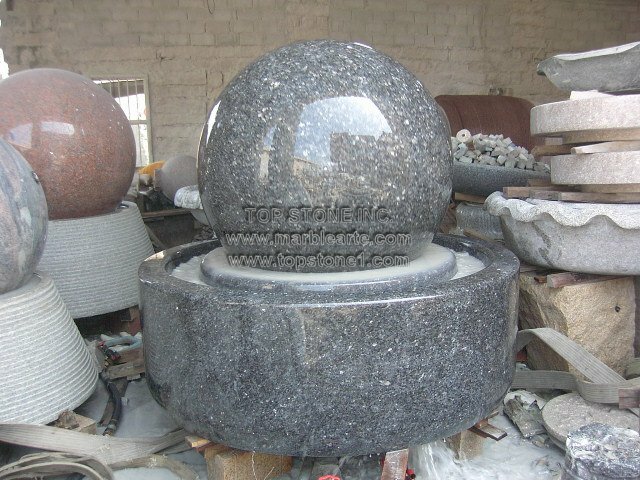 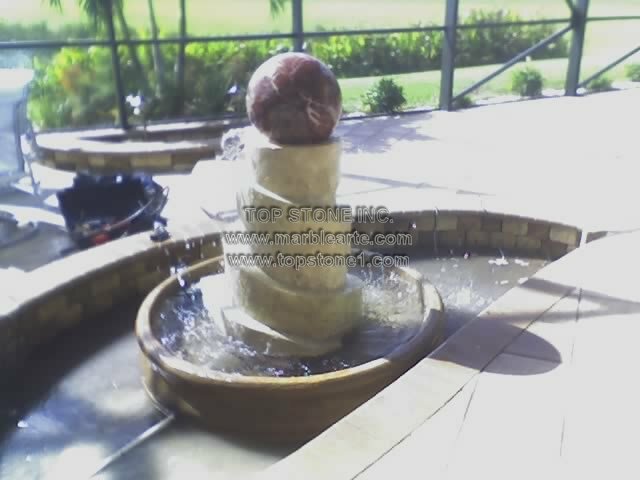 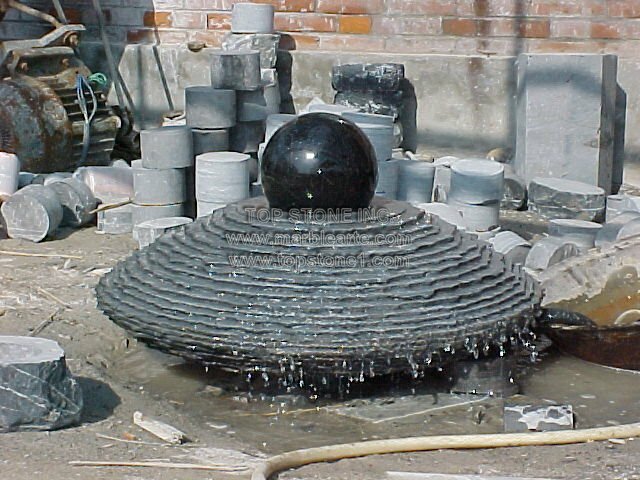 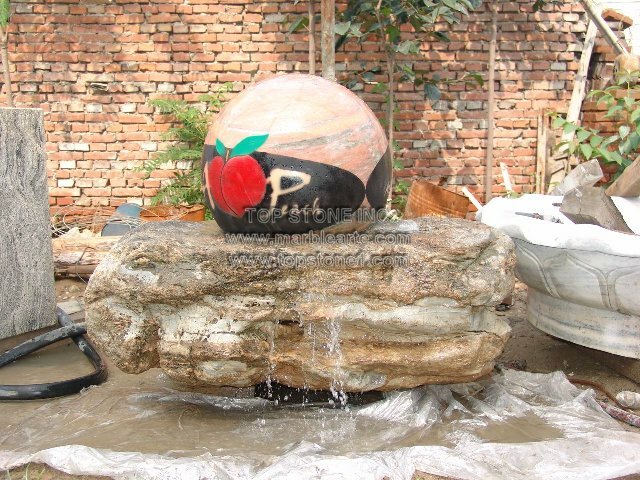 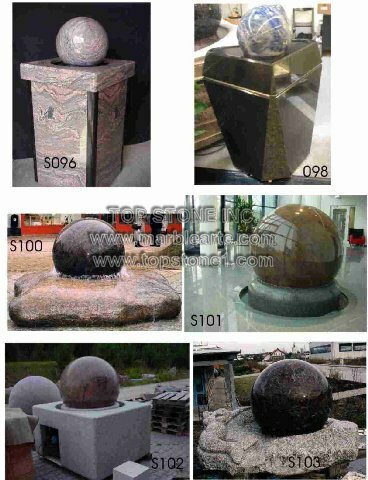 NATURAL BASE STONES or Solid Square/Round Bases MAY NEED TO BE INSTALLED INSIDE A WATER RETENTION UNIT WITH PUMP, SUCH AS A PRE-FORMED WATER BASIN OR CUSTOM INSTALLATION POND TYPE AS SEEN IN THE SECTION CALLED INDOOR/ OUTDOOR. 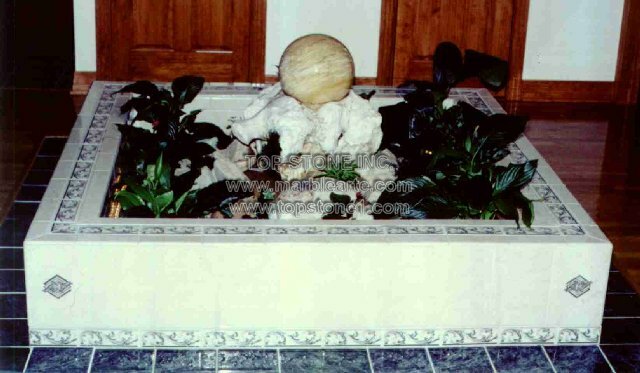 Grating Systems are another option such as Atlas Walk or Frisco File Picture Designs. 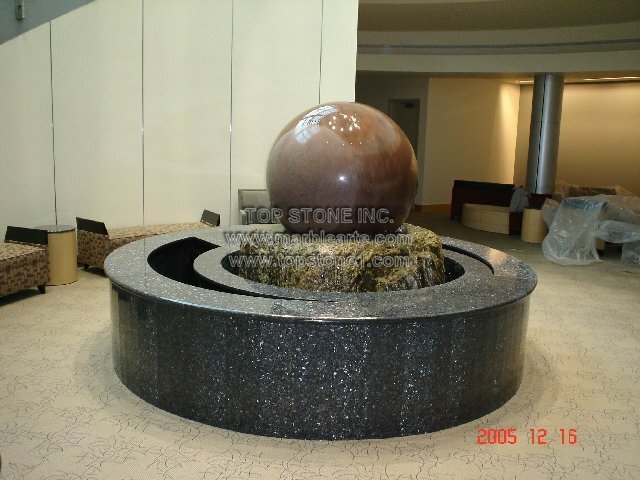 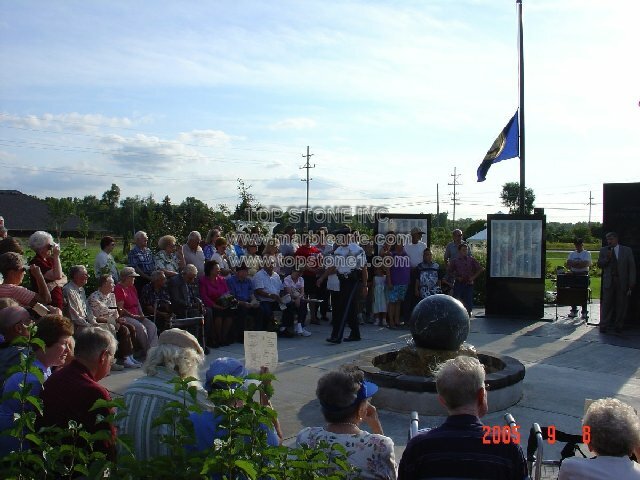 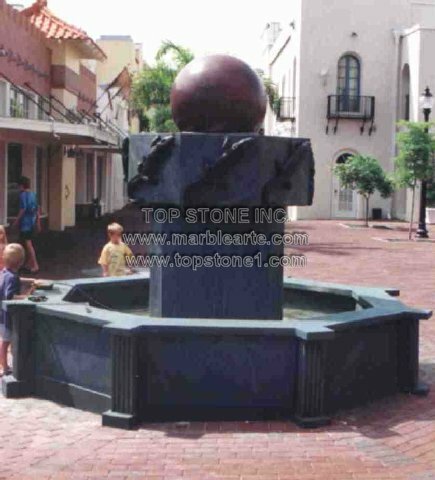 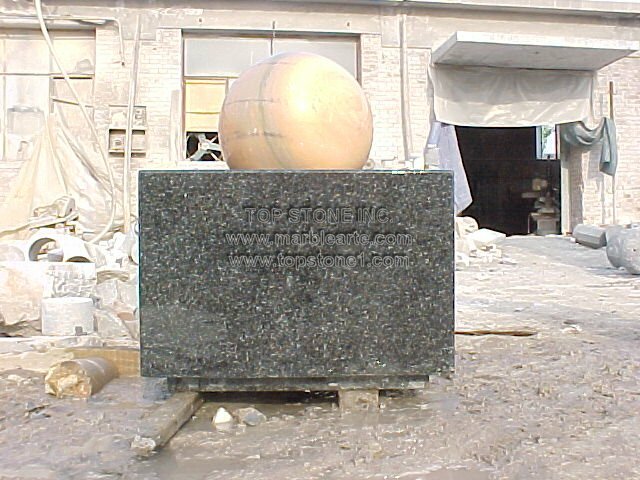 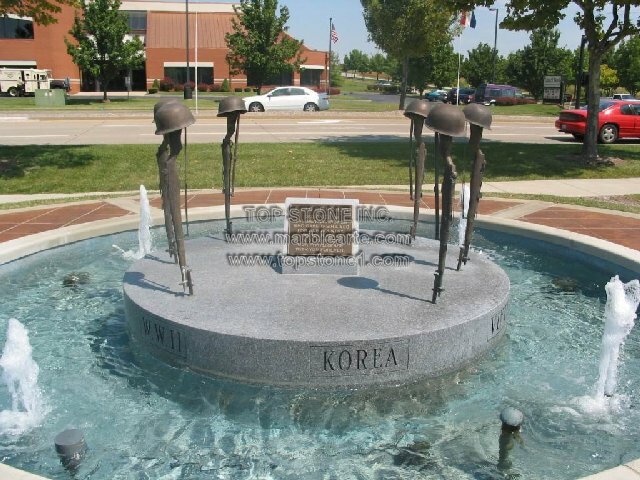 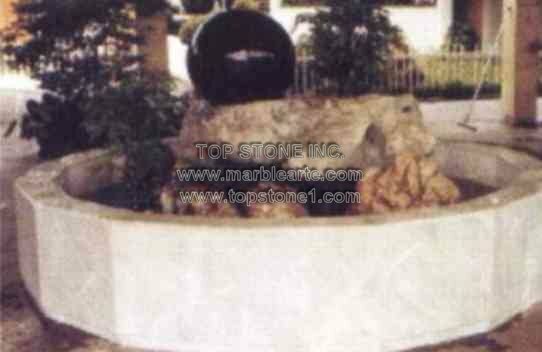 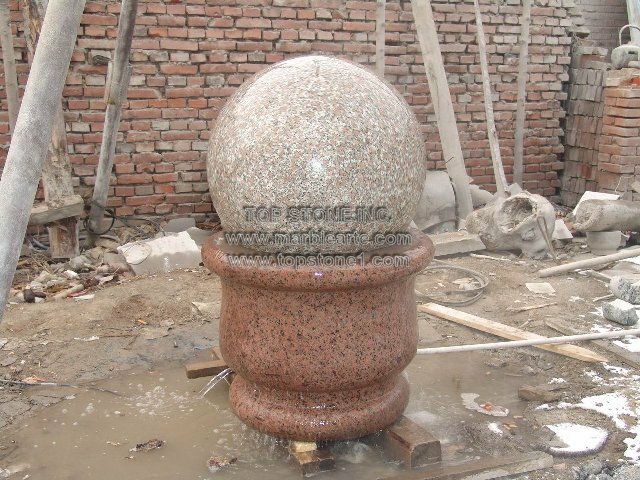 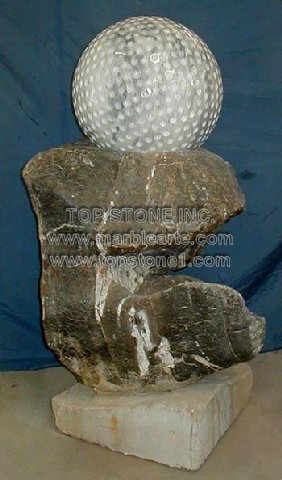 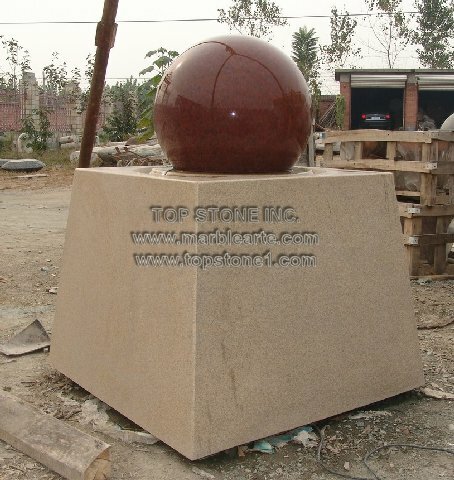 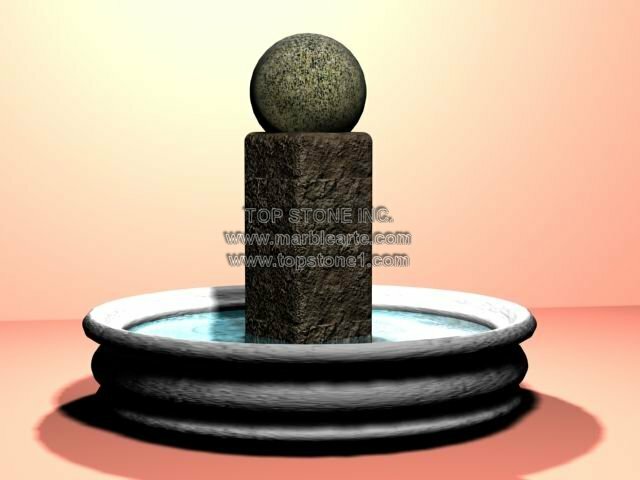 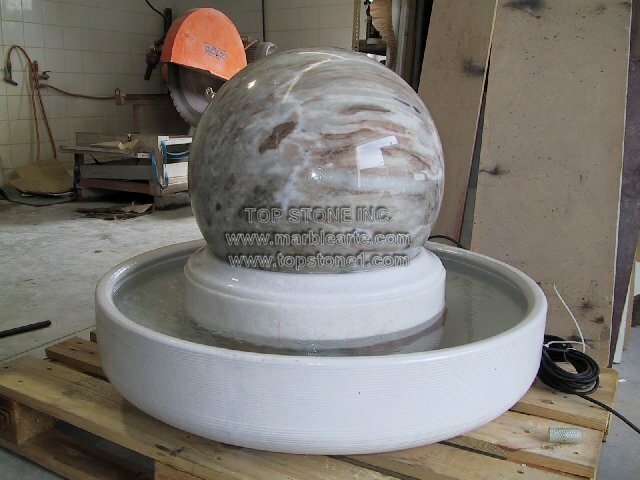 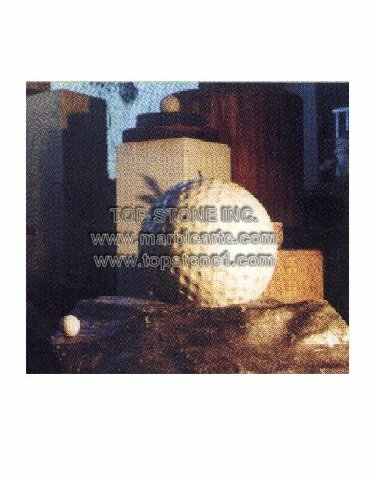 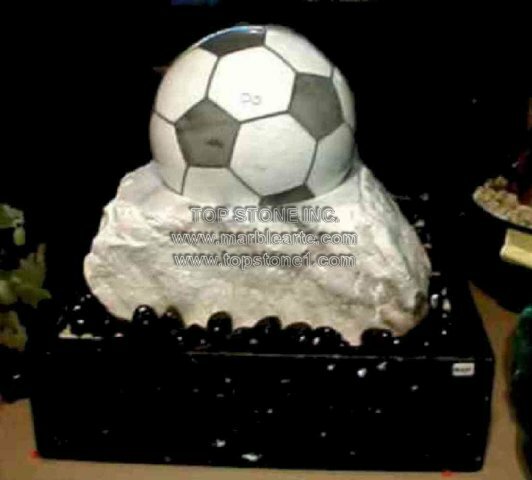 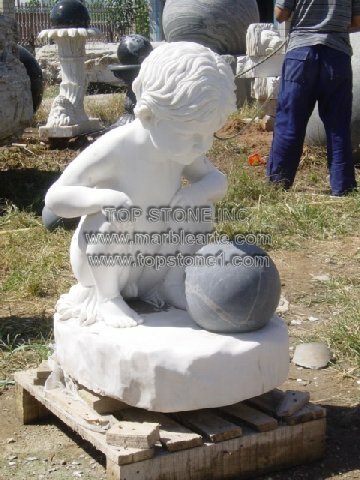 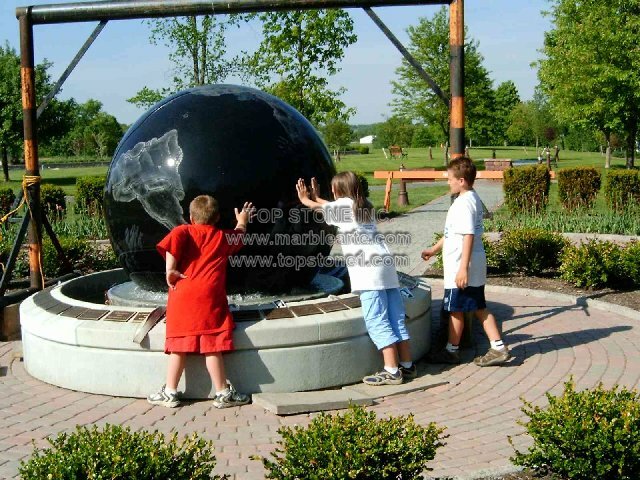 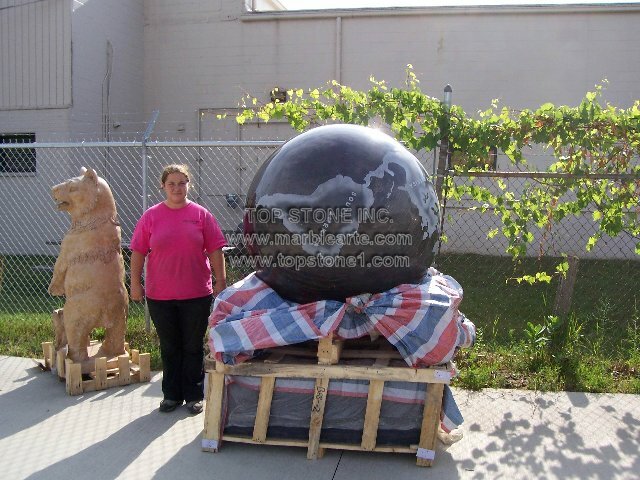 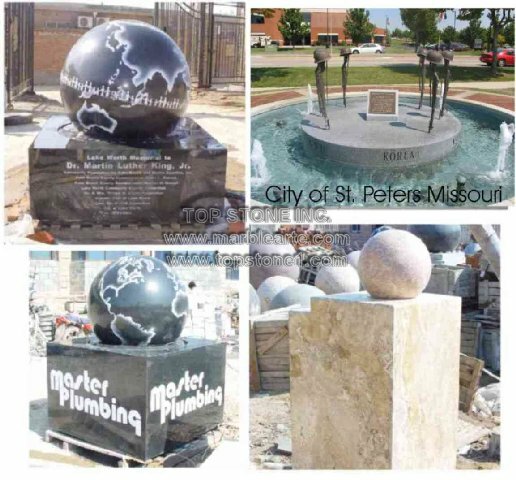 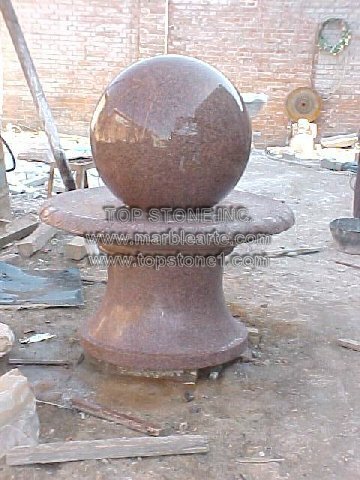 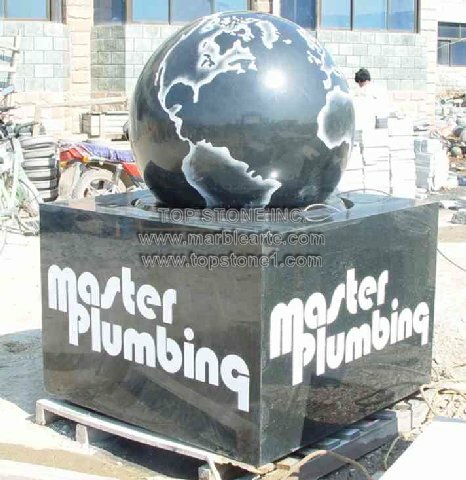 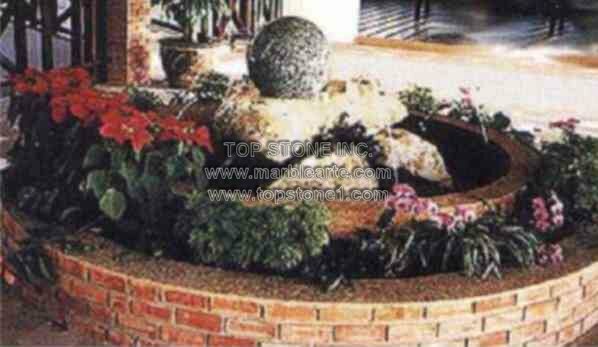 We can also make centerpiece base non-rotating with hole in center for water flow or without hole for signage. 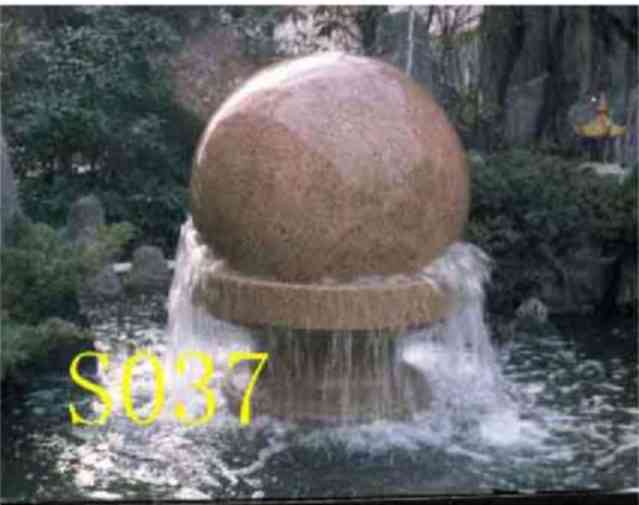 Washington D.C. 10th Street ParkD.